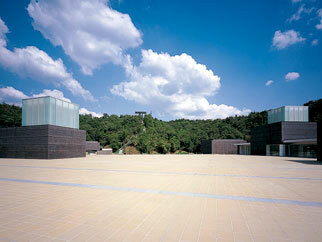 In the Ceramics Park Mino, the other area apart from the museum is called Oribe Square. 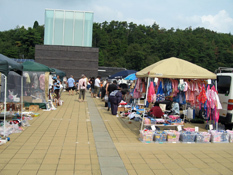 Here, a multitude of delights and possibilities are on offer: commercial fair facilities enabling exchanges of creative ideas between professionals, as well as a restaurant and tea rooms, a pottery practice studio, educational amusement facilities, and last not least a promenade and viewing platform. 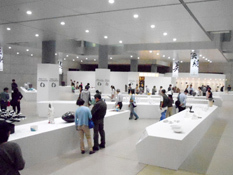 The open space can be used for cultural events and to hold trade fairs dedicated to products used in daily life, centering on ceramics. 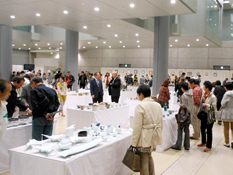 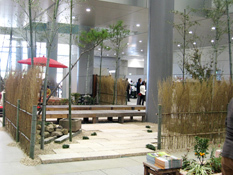 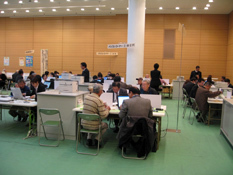 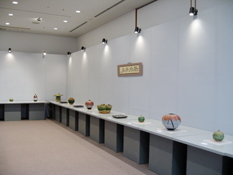 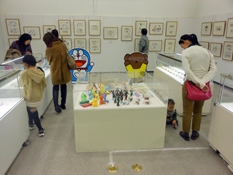 Many people from Japan and abroad gather here for the International Ceramics Festival Mino. 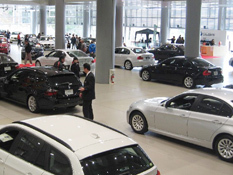 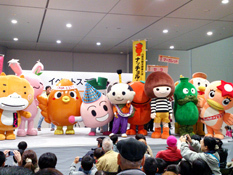 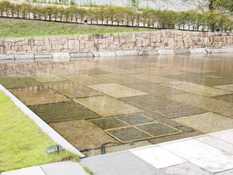 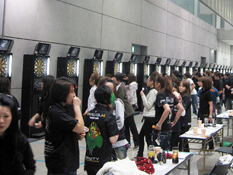 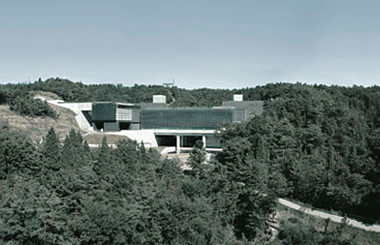 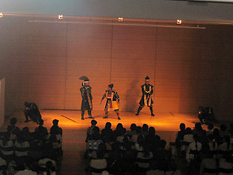 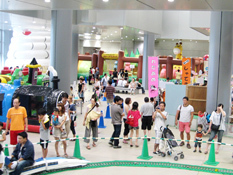 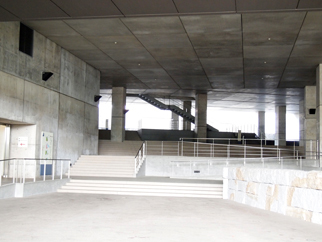 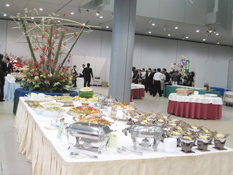 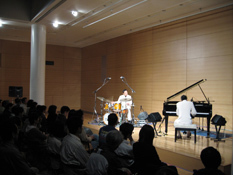 With an area of 2,237 sqm, this is the largest venue of its type in Gifu prefecture. 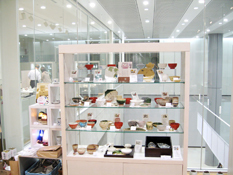 Partial use of the site is also possible. 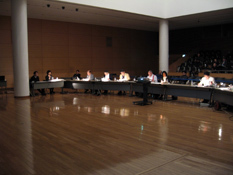 The conference hall, complete with stage, is large enough for gatherings and seminars of 300 people. 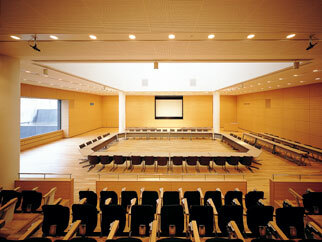 It is equipped with a huge 200 inch screen and simultaneous interpretation facilities. 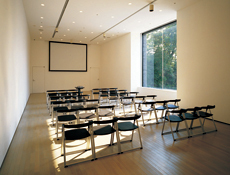 Equipped with projectors and screens. 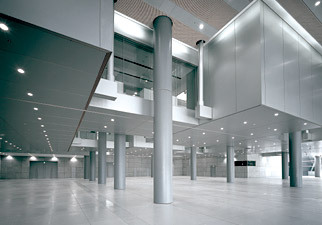 With its generous 168 sqm area, it is a multifunctional space serving as exhibition space, conference room, or reception room. 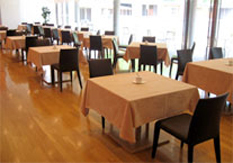 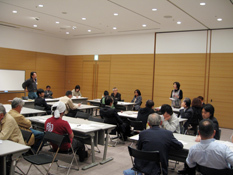 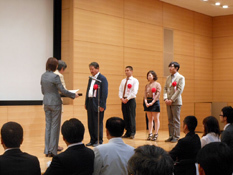 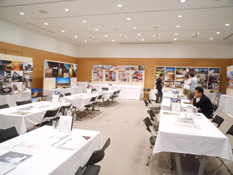 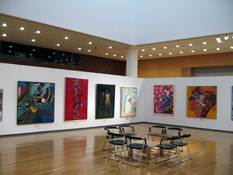 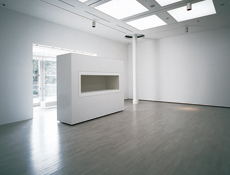 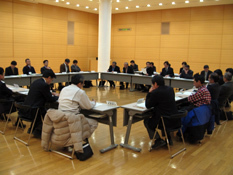 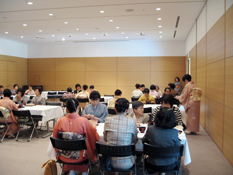 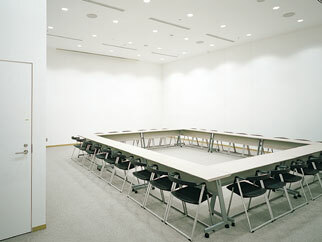 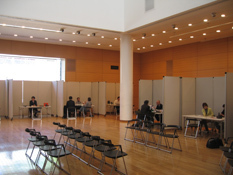 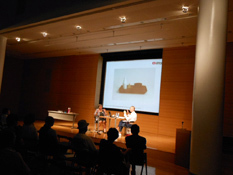 For conferences of up to 50 persons, for meetings, or for special exhibitions of individual artists. 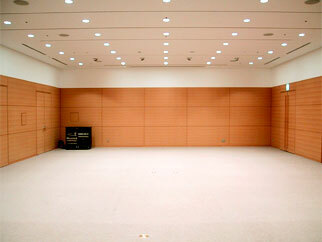 This room, too, is equipped with a projector and screen. 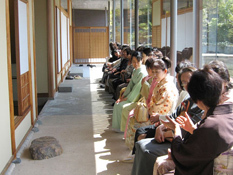 In the tea rooms at the water's edge,you may enjoy the subtle pleasures of formal Japanese tea. 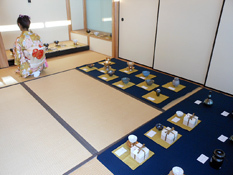 The larger tea room covers 12 tatami mats while the other tea room, with its space of 4 and half tatami mats, caters for more intimate gatherings. 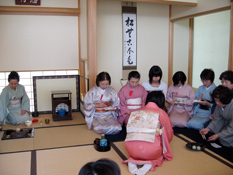 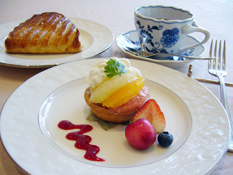 During special events, formal tea is served in both rooms. 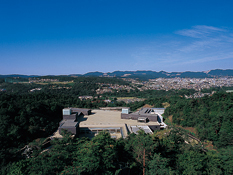 Enjoy the view over the green of Satoyama, a low hill in the midst of flat ground. 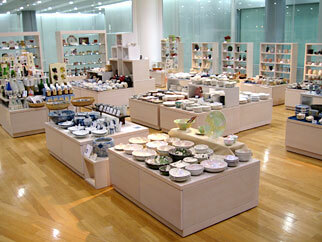 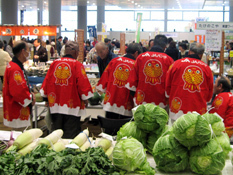 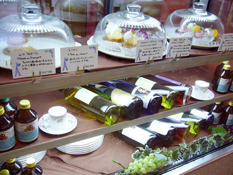 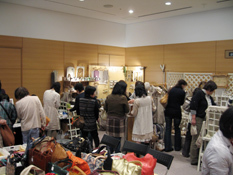 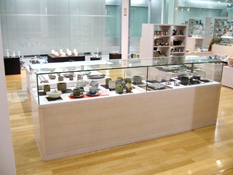 Apart from Mino ceramic wares you will find original local products for sale. 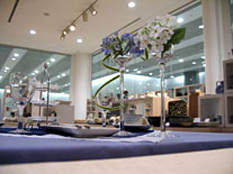 Table settings in seasonal harmony are presented and their various components may be purchased. 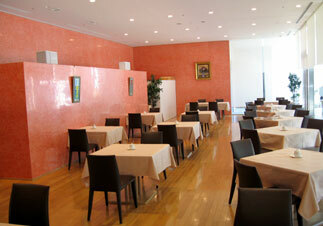 Our restaurant's delicacies are served on Mino ceramic dishes, promising you a particularly delightful meal. 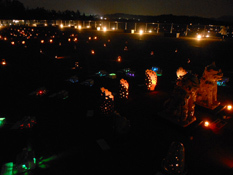 When darkness fall, the surrounding space lights up, creating a dreamlike atmosphere. 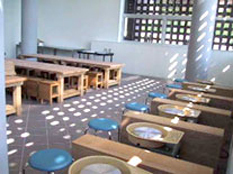 Try your hand at pottery in this relaxed environment, either at painting pottery or shaping the raw earth by hand. 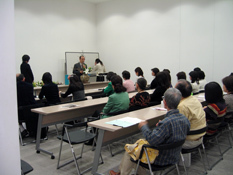 We also offer special courses for handicapped people and senior citizens. 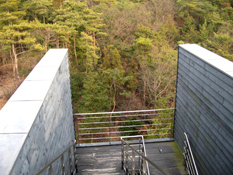 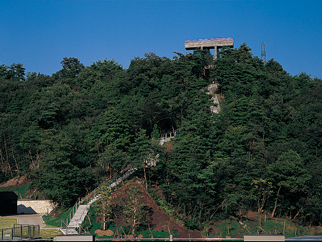 When you look out from the viewing platform,you are bound to sense how harmoniously the building is embedded in the valley. 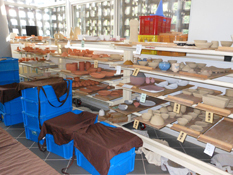 Beyond, you can see Satoyama, the production site and environment of Mino ceramics. 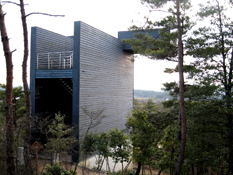 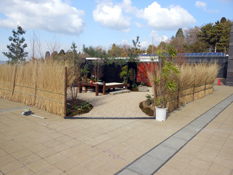 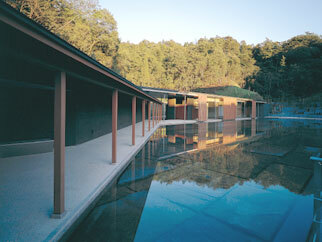 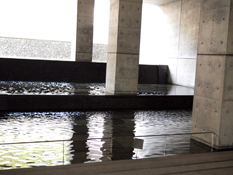 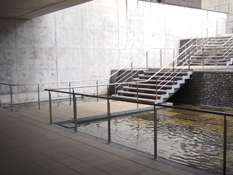 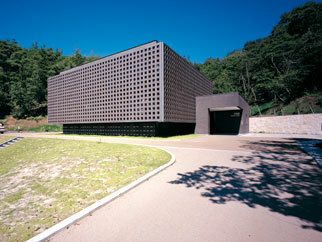 It is a multi-purpose space for visitors to take a break against a waterfall flows down along the facility. 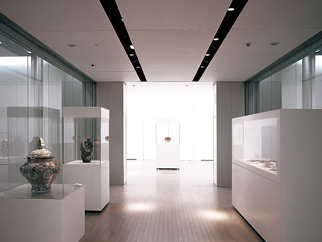 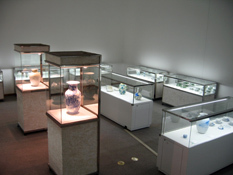 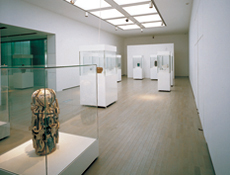 Under the theme of “ceramics today”, we present the modern-day objects of pottery and ceramics from Japan and overseas in a variety of special exhibitions. 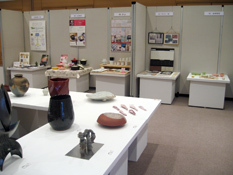 We are developing activities to expand the human network focusing on ceramics as well as on regional cooperation.